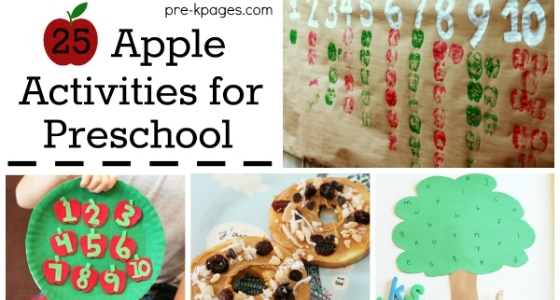 Today I am sharing an alphabet activity that is perfect for a preschool apple theme or fall theme. It is very simple to set up and only requires a few basic materials you probably already have in your classroom. 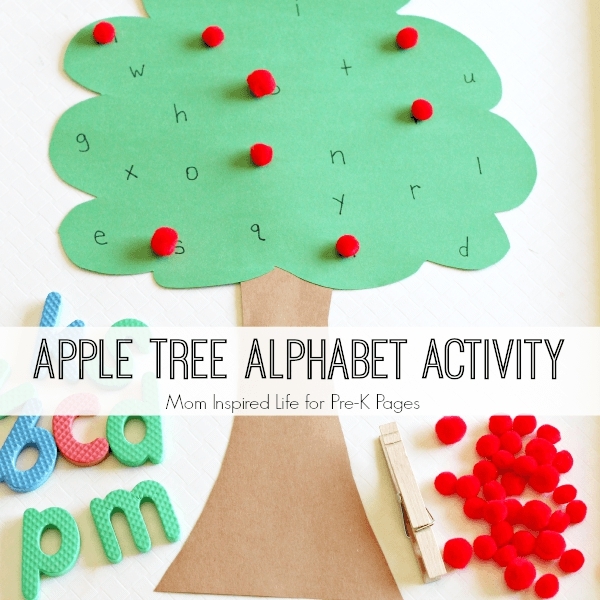 This apple tree alphabet activity gives children the opportunity to practice letter identification and fine motor skills in a fun and effective way. 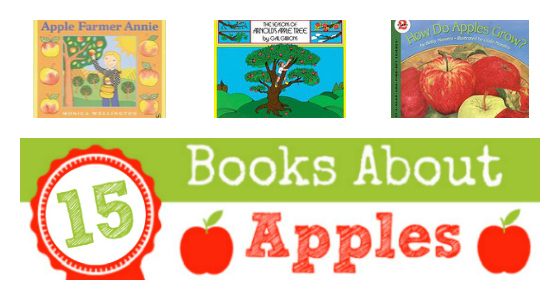 While participating in this apple tree alphabet activity, students will practice identifying letters. This is an important skill for young children to learn because it is the foundation of learning to read. 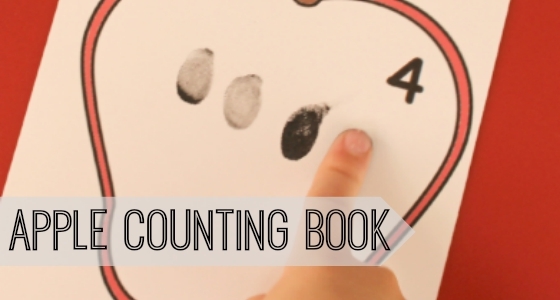 This activity is self-correcting, so it takes the pressure off of a child who is just getting familiar with the alphabet. It is an excellent choice for the beginning of the school year. Children will also get lots of valuable fine motor practice when they use the clothespin or tweezers to pick up the pompoms. It is so important to develop those small hand muscles so that kids can be ready to write and do various other life skills. 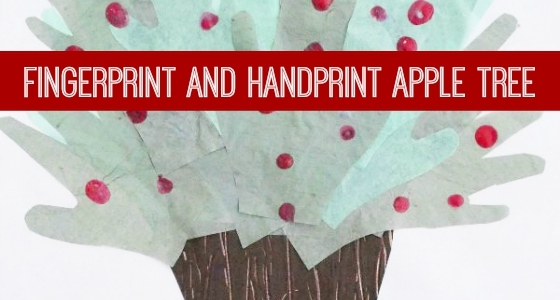 Draw the top of a tree on the green paper and cut it out. Draw the trunk of the tree on brown paper and cut it out. 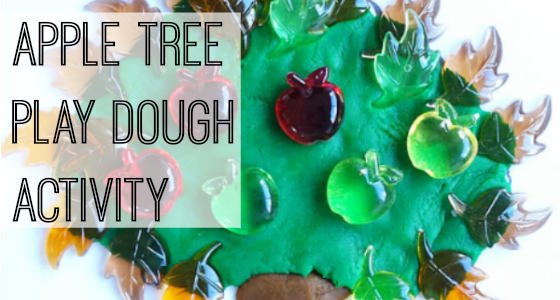 Glue the pieces together or onto a bigger sheet of paper so that they form a tree. 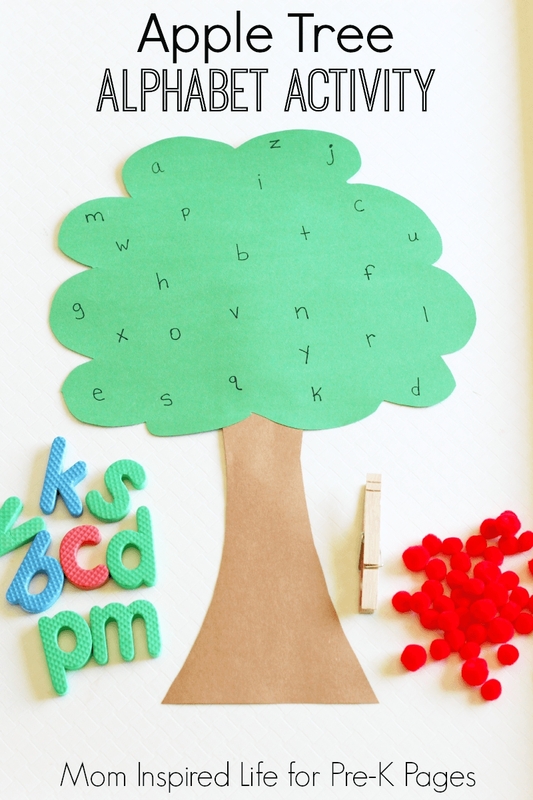 Write each letter of the alphabet on the green part of the tree. Put the magnetic or foam letters in a container or a bag. 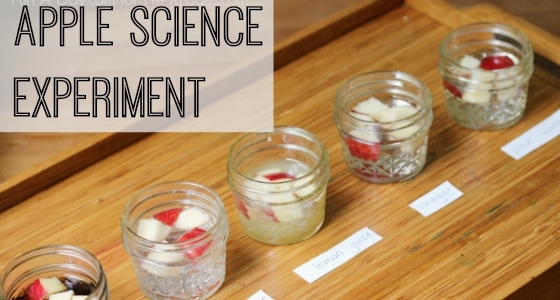 There are various ways you could do this activity in a classroom. My favorite way is to place it in your alphabet or literacy center and invite students to use it individually or in groups of two or three. 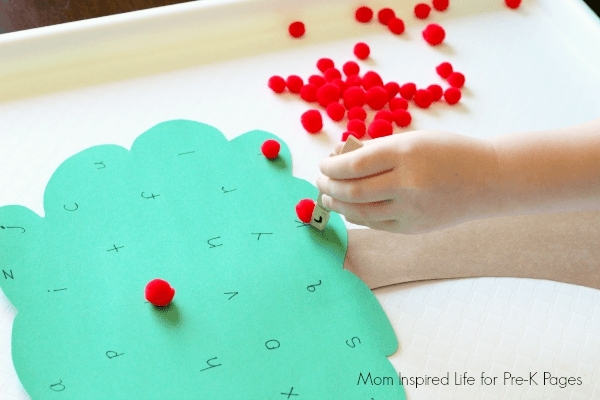 A child chooses a letter out of the bag, picks up a pom pom with the clothespin, and places the pom pom on the matching letter on the tree. He can continue until every letter on the tree has been covered. 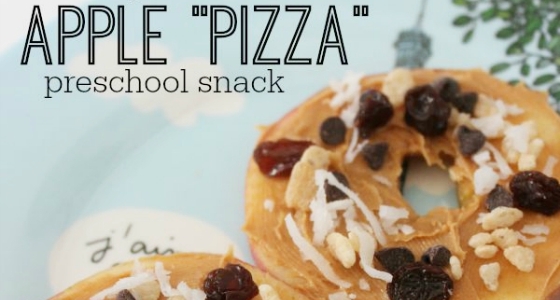 You could also do this activity with small groups of children in your class. You would only need enough supplies for each student in your group. 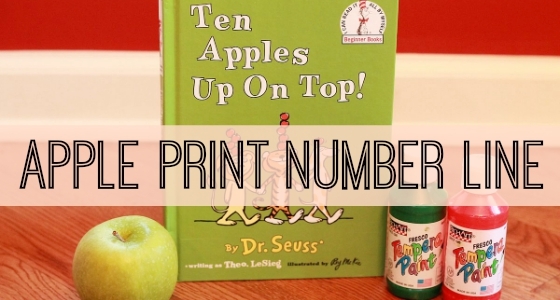 If your children are not ready to identify lowercase letters, use uppercase letters instead. 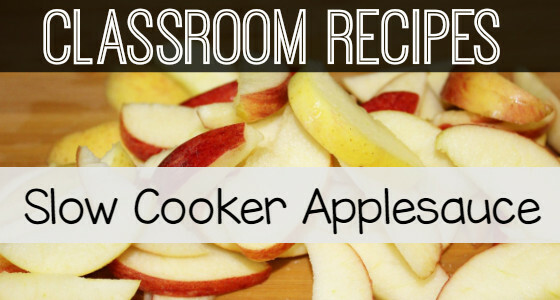 No matter which way you choose to do this activity in your classroom, it is sure to be a fun and engaging activity for your students. BIO: Danielle is a former elementary teacher and a mom of two, and now writes at Mom Inspired Life. You can connect with her by subscribing to her newsletter or following her on Facebook, Pinterest, or Twitter. I am an elementary ed teacher. I now opened a preschool. I would love to have lesson plans for 2-4 year olds. Where could I obtain them to help me out? Also scheduled time when I teach different skills? This is a big difference from teaching primary grades. Hi Jane, thanks for stopping by! You can find lots of printable resources in my store here: https://www.pre-kpages.com/products/ Here is a link to my schedule page: https://www.pre-kpages.com/class_schedule/ Hope that helps and best of luck on your new venture! I love this!! All your APPLE ideas are awesome. 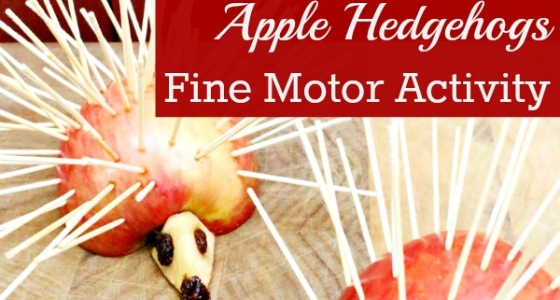 I do Homeschool Preschool & blog about our classroom adventures. School just started and we are on letter…A! I will have to try some of these ideas. So fun! Thank you kindly for sharing! !